Personalised apron with your own free text. Crease resistant poly/cotton - easy care. 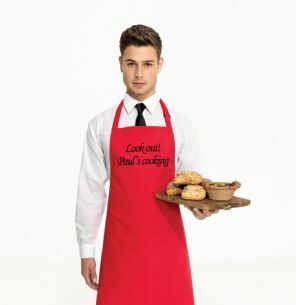 Choose from a range of colours of apron.